Month two of being a freelancer and I am well and truly loving it. Being able to focus on design solutions and not get distracted by troubleshooting or reams of paperwork is an amazing feeling. My dance-card has been marvellously full and the projects I have been working are diverse and engaging. I am a very lucky and grateful lady right now. Although my year of big projects is not over yet, not by a long shot. 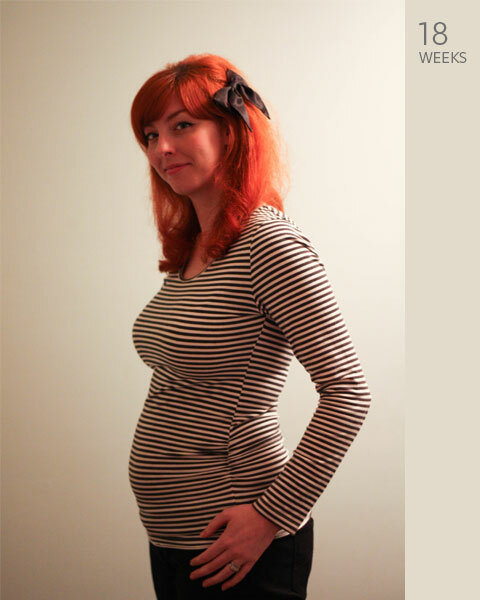 I have one of the largest projects I will probably tackle in my life fast approaching: I am 18 weeks pregnant. My first trimester was spent trying to keep my mouth shut about the pregnancy, while sulking through constant nausea and unpredictable food cravings/rejection. Poor SNH often had to stop cooking half way through dinner on a number of occasions, as I couldn’t handle the smell of a particular ingredient. But like the shinny husband he is, he would keep on experimenting to find out what I could stomach. Now I am my second trimester, I am facing other world shattering issues – finding maternity clothes that aren’t frumpy and mumsy. Hilarious and silly you say? Well so would I, had I not just spent the last few frustrating weeks scouring stores and Australian websites in search of maternity clothes that suit my style. While I accept that it’s highly unlikely that I will find any quantity of vintage maternity clothes (that don’t cost the earth), I did expect to find something that wouldn’t call for a complete rethink of my personal style. All I have been able to find are jersey dresses, jeggings, over sized cardigans, cargo pants, black polyester pants and terrible tops that have floral prints and diamantes. Apparently only bogans and dowdy ladies get pregnant these days. Once again SNH has come to the rescue, quizzing the well dressed and pregnant ladies at his work and getting the low down on where they purchase their non-hive inducing preggers wardrobe. One great tip we got was ASOS a UK based fashion website that also sells maternity-wear. I am now happily waiting on a large package of tights, pencil skirts, stripey tops, cigarette pants, vests, tasteful tops and leggings. In the meantime, following another SNH worklady tip I’ve picked up a pair of awesome black skinny maternity jeans from Jeans West. All is not lost! It’s just a little hidden. I am a fan of well done bump photos (especially those of the Rummey Bears) so SNH and I are endeavouring to catalogue the growth of La Bump. And yes, as this blog is about me and my life I am sure I will be writing a lot more about pregnancy and the trials of being a new mum, but I have promised myself that I will not loose my identity to just being a ‘mum’. I am many things and being a mum will be one of them, so hopefully this blog won’t degenerate into a mummy blog – I think a lot of those kinds of blogs are really interesting, but just not me.